Welcome! When you visit Dr. Steven J. Smith: Family and Cosmetic Dentistry, you will be amazed at the level of care you’ll receive. The moment that you walk into our office, our relaxing and comfortable environment will put you at ease. Our team knows just how to calm the anxious patient and make their visit here extraordinary. Everyday, our patients receive excellent cosmetic and restorative dental treatments from Dr. Steven Smith, our talented dentist. Dr. Smith and his experienced team have been providing outstanding care to the people of Deltona and Lake Helen, FL and the surrounding areas for over 20 years. Whether you need veneers, whitening, dentures, crowns, fillings, or just a simple dental cleaning, we will take care of all your needs. 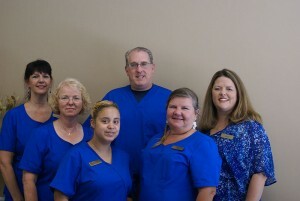 Come visit our office and discover how soothing dental care can be! © Copyright 2019 Steven Smith. All Rights Reserved.